Rachel Weber, UIC professor of urban planning and policy. Photo: Jenny Fontaine/UIC Public Affairs. Building utilization and student performance were predictors of Chicago Public Schools closures, but so was the race of students in each school, according to a new article published in the journal Urban Affairs Review. 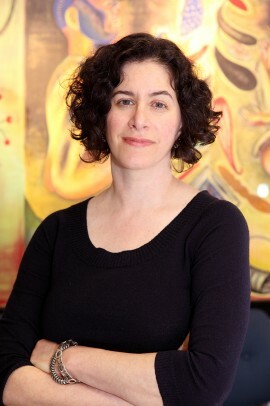 Led by Rachel Weber, professor of urban planning and policy at the University of Illinois at Chicago, the researchers examined school closure decisions in Chicago from 2003 to 2013 under former Mayor Richard M. Daley and current Mayor Rahm Emanuel. Poor academic performance was cited by the Daley administration as the main reason for closures and “turnarounds,” which replace the majority of teachers and administrators from a school. Facility underutilization was the leading factor cited for closures under Emanuel. An analysis of the potential predictors of school closings validates the justifications stated by the two administrations, but schools with larger shares of black students that were located near both the Central Business District and charter schools also had a higher probability of closure. Breaking the data into two separate waves (2003-2010 and 2011-2013), the researchers used statistical methods to estimate the probability that schools that were open as of 2003 and 2011 were subsequently closed or turned around as a function of physical, student, geographic, political and neighborhood demographic factors. Of the 470 schools in the study’s sample, 114, or 24 percent, could be considered closures and turnarounds occurring between 2003 and 2013. The share of black students and the distances to charter schools and the central business district lost their significance in the second wave, which suggests that closures under the Emanuel administration hewed closer to its intended objective than the previous administration. “Whether administrators explicitly considered the race of a school’s students in decisions to close schools, or whether variables measuring black students in our study were substitutes for other unmeasured characteristics, the cumulative effect of these decisions combined with racially differentiated education environments forced African American students and their families to bear the burden of the closures,” the researchers write. According to the researchers, Latino-serving schools were generally not closed, likely due to several factors, including those academic facilities were better utilized or Latino communities were targeted less by school reformers and charter school operators. Weber, a faculty fellow in UIC’s Great Cities Institute and visiting expert in the Institute of Government and Public Affairs, recognizes the difficulties administrators face when authorizing these types of changes. “It’s a balancing act for school districts that are caught between a desire to maintain older school buildings that serve as community anchors, but to also be flexible enough to accommodate changes in educational policies, enrollments and student needs,” she said. As other large, urban school districts across the country undertake similar school closing plans, Weber believes the findings can help inform current and future debates around these issues. “In particular, questioning whether policymakers and administrators have the most accurate data at the most granular level of detail necessary to make life-altering decisions like closing neighborhood schools,” she said. Co-authors on the study are Stephanie Farmer of Roosevelt University and UIC alumna Mary Donoghue, who works in affordable housing development.